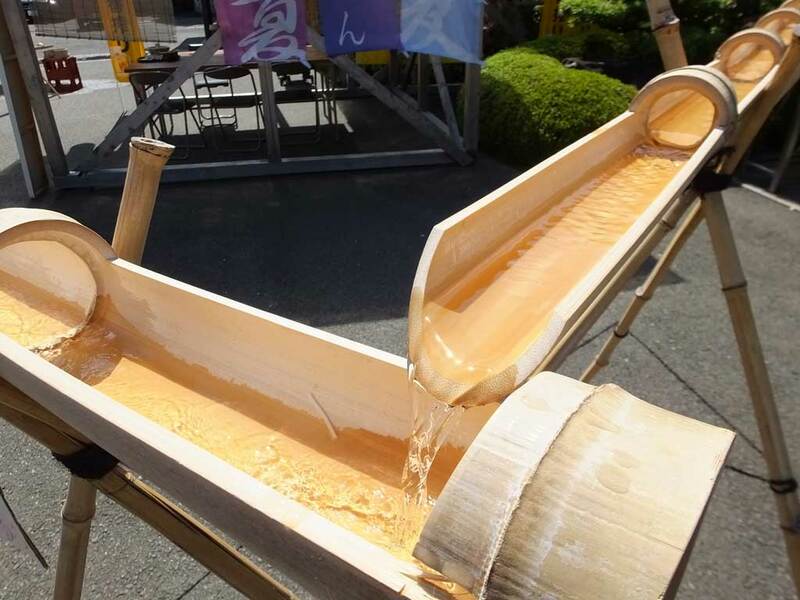 In Japan, nagashi-somen is a popular summer activity. People catch flowing somen noodles with chopsticks and eat them. Bamboo gutters are often used for that.